Once you are in Hakuba there are a number of options to get here for lessons. Choices include skiing, walking, the EISS shuttle bus, Hakuba / skifield shuttle bus service, complimentary shuttles provided by some accommodations and using local taxis. * Operating from 15th December 2018 until 31st March 2019. For more information about the closest bus stop to you, ask your travel agent or accommodation. Please get off at “Kokusai Slope”. 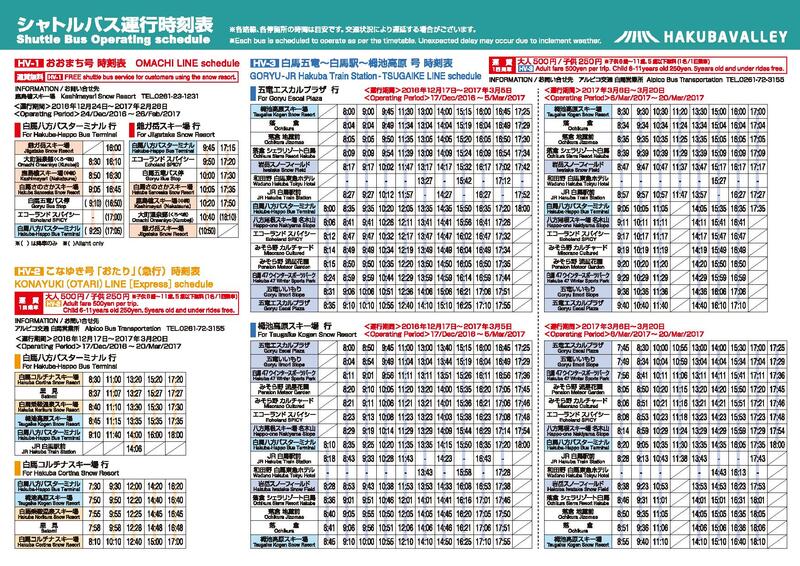 You can find the shuttle bus timetable pdf here. *Operating from 15th December 2018 until 24th March 2019 (excluding New Year’s Day). This is one option for those in both 10:30 Private and 10:00 Group lessons. Note that there can be delays due to traffic and weather. * Operating from 14th December 2018 until 31st March 2019. Happo runs a shuttle bus with several routes that stop at Iwatake. For detailed information about the closest bus stop to you, ask your travel agent or accommodation. Please get off at “Iwatake Gondola”. If you are staying in Iwatake, walking is an option. This could be possible if you are staying near Cortina – check with your accommodation. 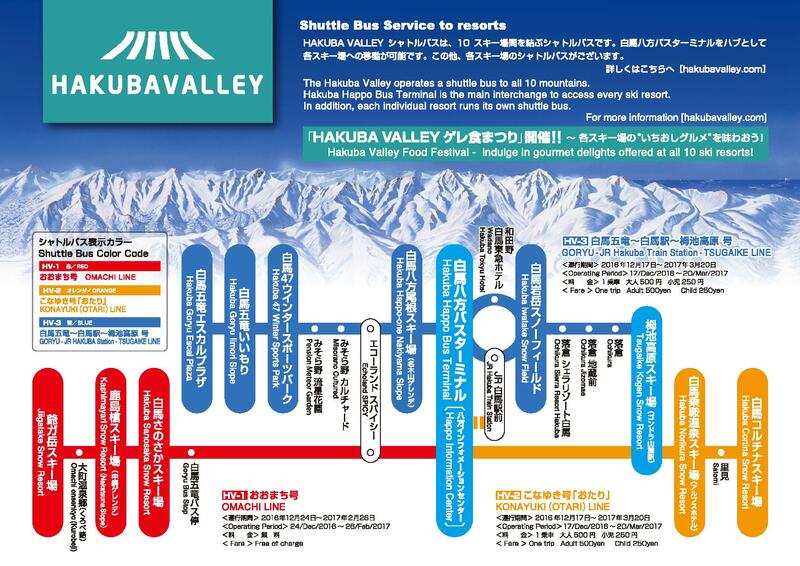 Download the Hakuba Valley Shuttle Timetable pdf here. If you are staying in Cortina, walking and/or skiing is an option.